Absolutely immaculate property with the warm feel of home! This home was a parade of homes house in 2013 and features LOTS of upgrades. NO CARPET at all on the main floor…gorgeous hardwoods throughout. Beautifully appointed open floorplan with coffered ceiling in living room. Beautiful kitchen with quartz countertops, stainless appliances and breakfast room. Natural light fills this home. Spacious MASTER SUITE ON THE MAIN with updates galore. 2 more bedrooms on the main level and gorgeous bath. Upstairs features spacious bonus room that could easily be 4th bedroom along with another full bath. Also upstairs-unfinished, floored space that could easily be finished. Screened porch looks onto beautifully landscaped yard. This home backs up to neighborhood park. Make this show home yours! Remarks: Could easily be 4th bedroom! Please, send me more information on this property: MLS# 1075680 – $489,900 – 348 Burney Circle, Knoxville, TN 37934. 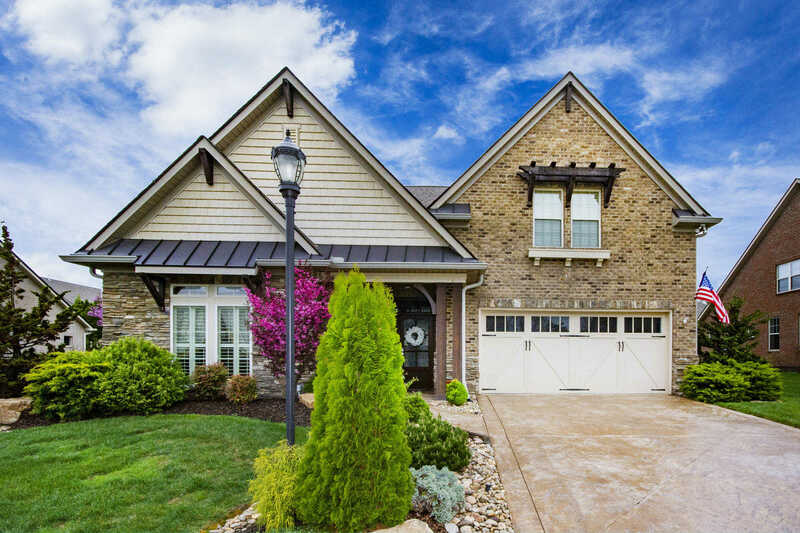 I would like to schedule a private showing for this property: MLS# 1075680 – $489,900 – 348 Burney Circle, Knoxville, TN 37934.